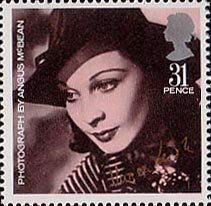 Novels are regularly depicted on commemorative stamps as part of Royal Mail’s aim to reflect British contribution to the arts. Appealing to the dual market of philatelists and bibliophiles, these issues are extremely popular. From a design perspective, the issues have enjoyed varied levels of success. This blog examines two magnificent celebrations of British literature, Sherlock Holmes 1993 and Peter Pan 2002, and evaluates two issues which were arguably less successful, Jane Austen 2013 and Harry Potter 2007. 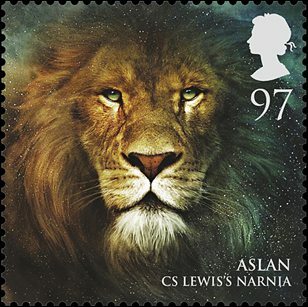 Commemorative stamps depicting novels must conform to the functional requirements of all British postage: to clearly show the monarch’s head and the value of the stamp. Artists are tasked with transmitting the spirit of a novel onto a canvas sometimes as small as 20mm by 24mm. The Peter Pan issue, illustrated by Colin Shearing, was released on 20 August 2002 to mark the 150th Anniversary of Great Ormond Street Children’s Hospital. The issue commemorates the institution’s relationship with the author which was cemented when Barrie bequeathed the story’s rights to the hospital in 1929. The power of imagination fills in the gaps intentionally left in three of the designs. 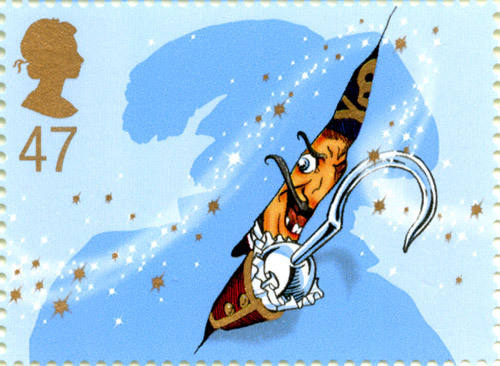 Captain Hook stamp, issued 20 August 2002. On the 47p stamp, Captain Hook’s large figure and feathered hat is shown in silhouette with his infamous hook protruding from the image. 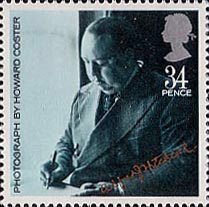 The artist has reduced the size of the already small stamp to a slither through which one eye and a menacing smile glower at the viewer. 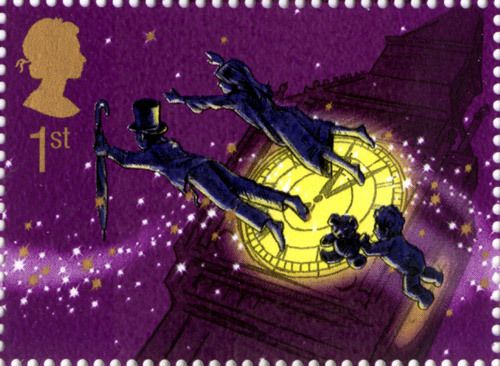 Peter Pan stamp, issued 20 August 2002. The practice of only showing part of a character is taken a step further in the depiction of Peter Pan. 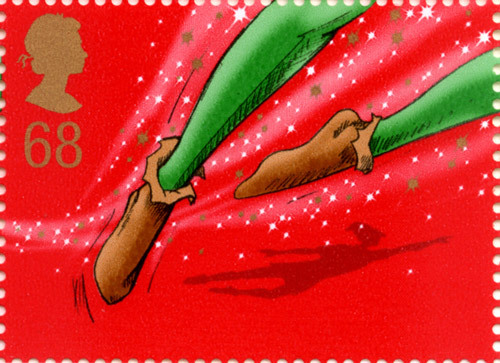 Peter’s pixie boots and legs clad in green tights are shown at the moment of taking flight against a vivid red background. There is no face in the design yet there is no question that this is Peter. Wendy, John and Michael Darling in front of Big Ben. Stamp issued 20 August 2002. 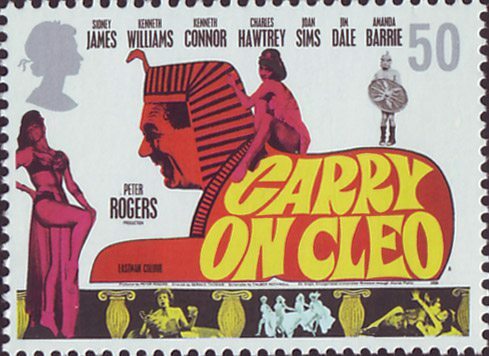 The first class stamp, my personal favourite, depicts the silhouettes of Wendy, George and Michael with the characters only identifiable by a nightgown, a top hat and umbrella, and a teddy bear respectively. The images are effective representations of Peter Pan because they do not attempt to portray the characters in complete detail. The images hint at the characters’ exploits and leave the viewers’ imagination to complete the picture. When Captain Hook bursts through the sail, one knows exactly how his figure will loom before us. As Peter Pan takes flight, one can hear his woops and yells. As the three children make their way to Neverland, we know what wondrous adventures await them. 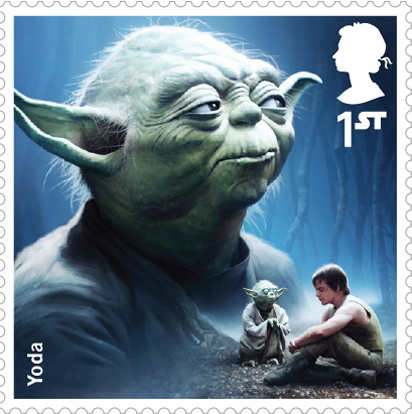 The stamps are a testament to the novel and emphasise the magic and excitement of the story. The illustrations cleverly manipulate the confines of the small scale and turn this limitation into a design advantage by demanding the participation of the viewers’ imagination. 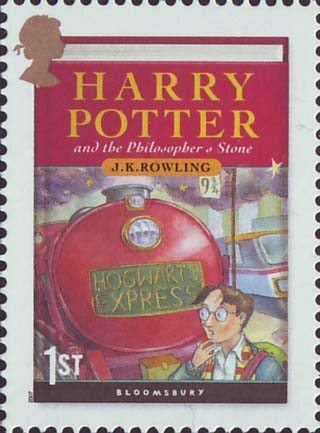 In contrast to the strength of the Peter Pan issue is the Harry Potter issue, with seven stamps reproducing the seven novel jackets, which was released in 2007 to mark the completion of J. K. Rowling’s saga. One might argue that the decision to use the book jackets is a tribute to the positive influence of the novels on children’s literacy as opposed to a quick design fix however a successful book jacket does not automatically translate into a successful stamp. Due to the scaling down of the image size, much of the font is extremely small and the illustrations are no longer striking. Whilst the images are recognisbale due to the prevalence of the book jacket they, unlike the Peter Pan issue, do not speak to the imagination in a new or interesting way. Harry Potter book cover stamps, issued 17 July 2007. The Jane Austen issue, released in 2013 to mark the 200th anniversary of Pride and Prejudice, is arguably unsuccessful despite featuring newly commissioned artwork. The illustrations are certainly very pretty but they do not capture the urgency or emotion of the moments they portray. 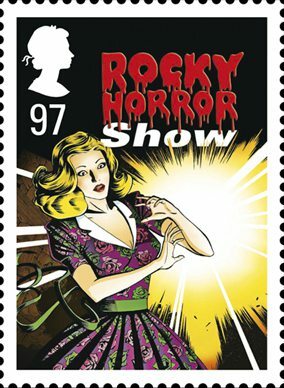 The 77p Mansfield Park stamp depicts a Fanny Price who does not appear to be reaching for the door handle in “desperation” while fighting panic and anxiety over what waits for her beyond the threshold. On the first class Sense and Sensibility stamp, Marianne certainly looks quite poorly but not “almost choked by grief”. The illustration does not parallel Austen’s distressing description of a young girl almost screaming in “agony”. Jane Austen stamps, issued 21 February 2013. The issue depicts fabulous regency costumes and interiors which lovers of the period will admire however there is no juxtaposition of the human experience, which Austen describes unflinchingly with all of its embarrassments; humour; conceits and pain, against this background of polite society. Released in 1993 to mark the centenary of The Final Problem, the Sherlock Holmes issue features a restrained colour palette, ominous images and expressive characters. Utilising forest green, grey and black across the illustrations ties the issue together nicely. The creature is suitably menacing in The Hound of the Baskervilles, characters look chillingly out into the darkness in The Greek Interpreter and the falling hat and crumbling rock in The Final Problem emphasise the characters’ peril. 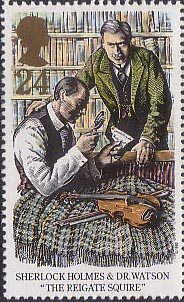 The inclusion of the deerstalker in the 24p stamp may understandably rile Sherlock Holmes puritans! For the aspiring sleuth, the issue contains a mystery: hidden within the issue is a five letter anagram which I invite you to puzzle over. 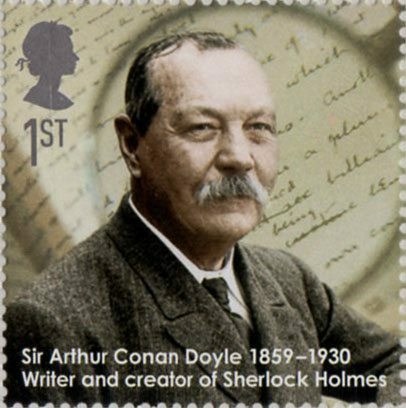 The Sherlock Holmes illustrations communicate the novel’s themes and demonstrate how stamps can engage and intrigue. 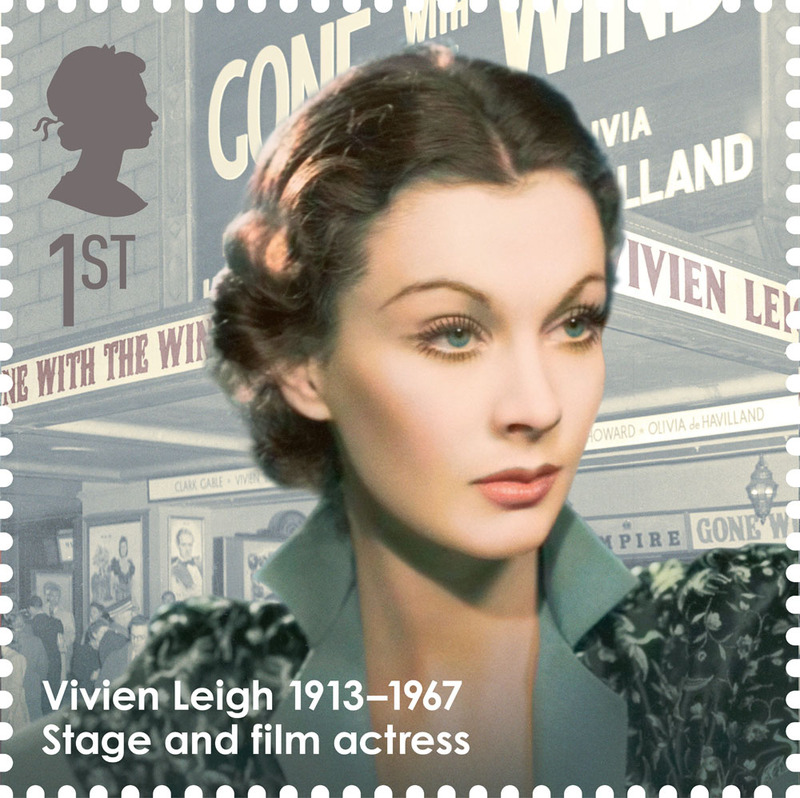 The ordinary postage stamp which drops through our letter box, lands on our desk and is handled by countless people every day is in a unique position to act as an instrument of inspiration and a celebration of literature. Sherlock Holmes. 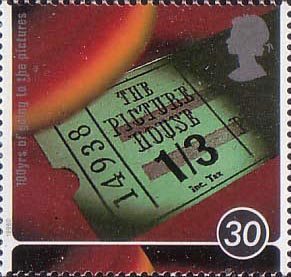 Centenary of the Publication off “The Final Problem” stamps, issued 12 October 1993. Which issue do you think celebrates literature most successfully? Do you have a favourite literature issue which was not discussed here? 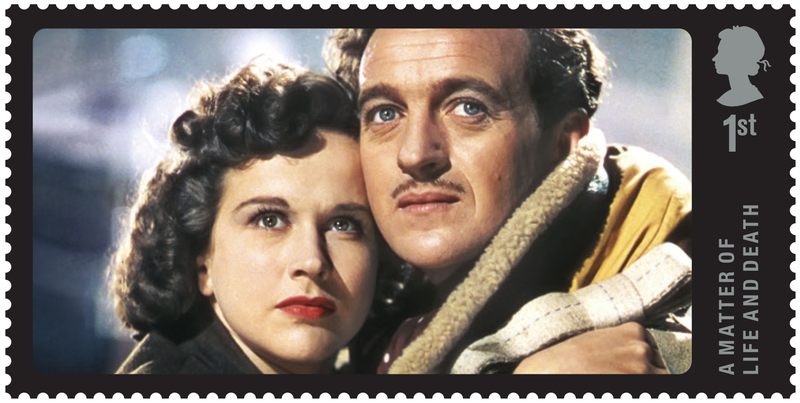 Is there a novel which you think should be immortalised on a postage stamp?